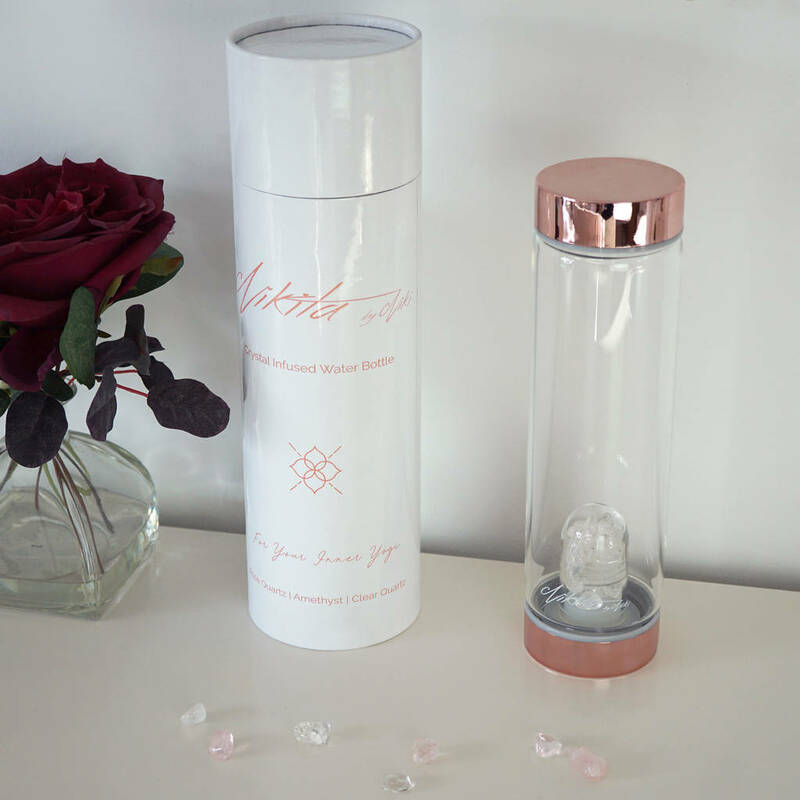 Introducing our brand new crystal infused glass water bottle with natural healing elixir quartz stones. 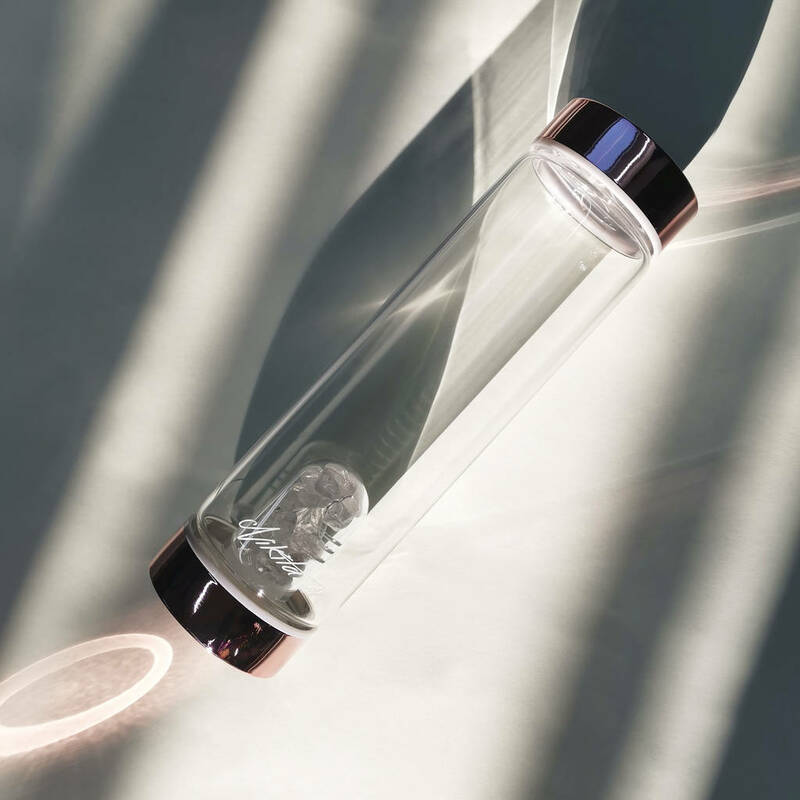 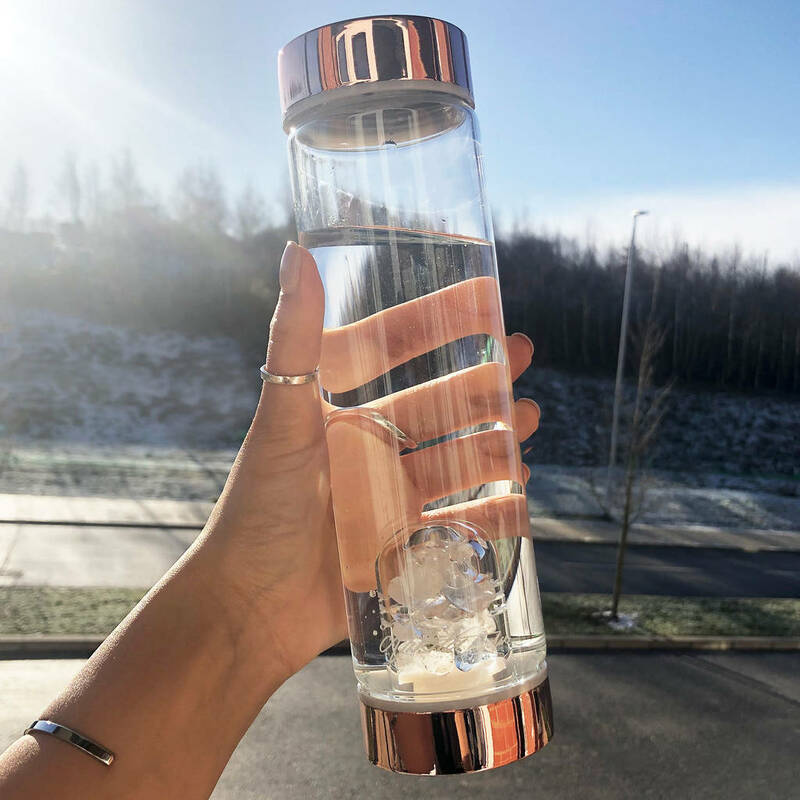 ⊰ Features a removable glass dome with slits to ensure the crystals actually TOUCH and infuse with your the water. 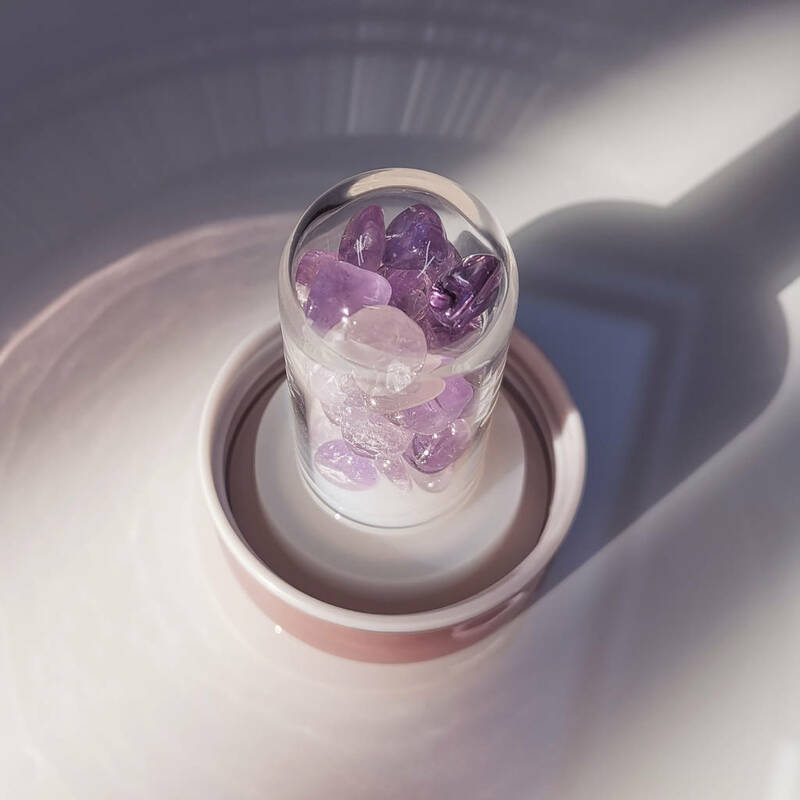 ⊰ Easy to clean, easy to change and swap crystals. 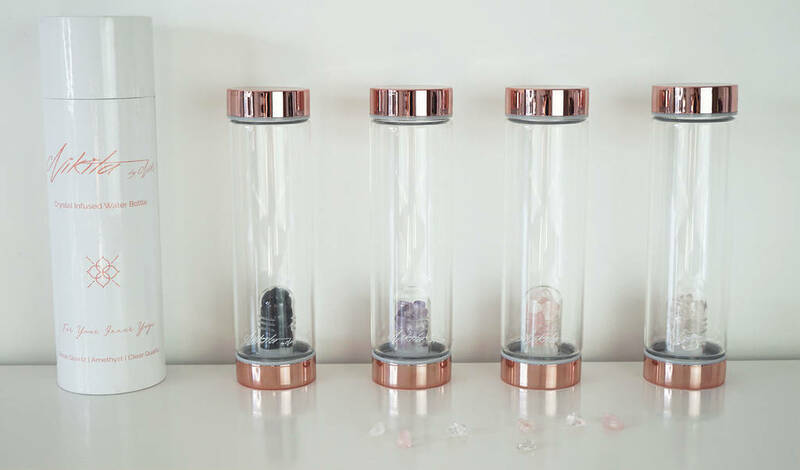 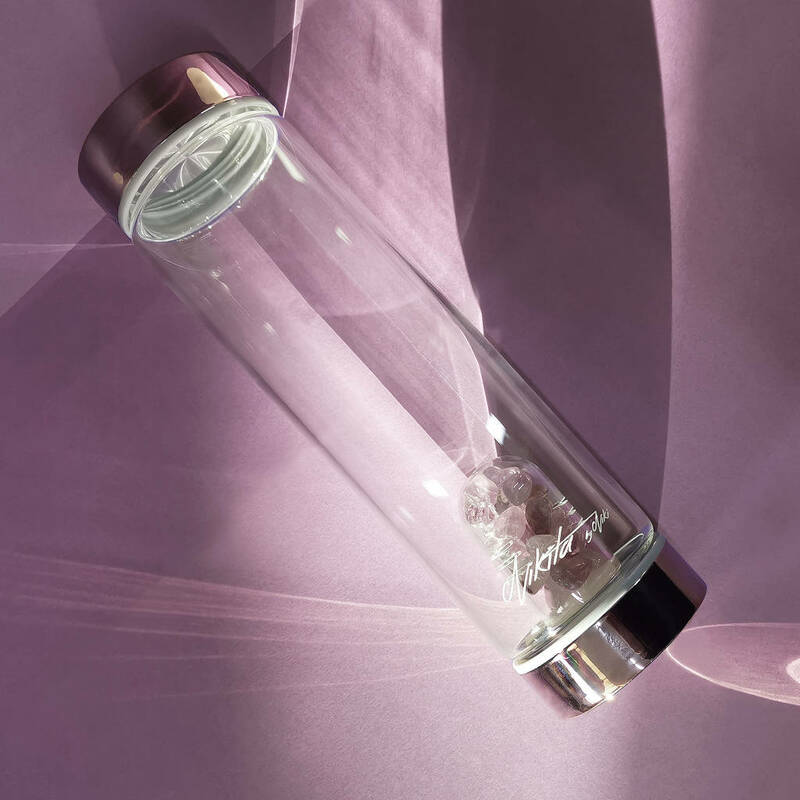 ⊰ A rubber screw base to ensure the crystals in the dome stay in one place and ensures the bottle is leakproof. 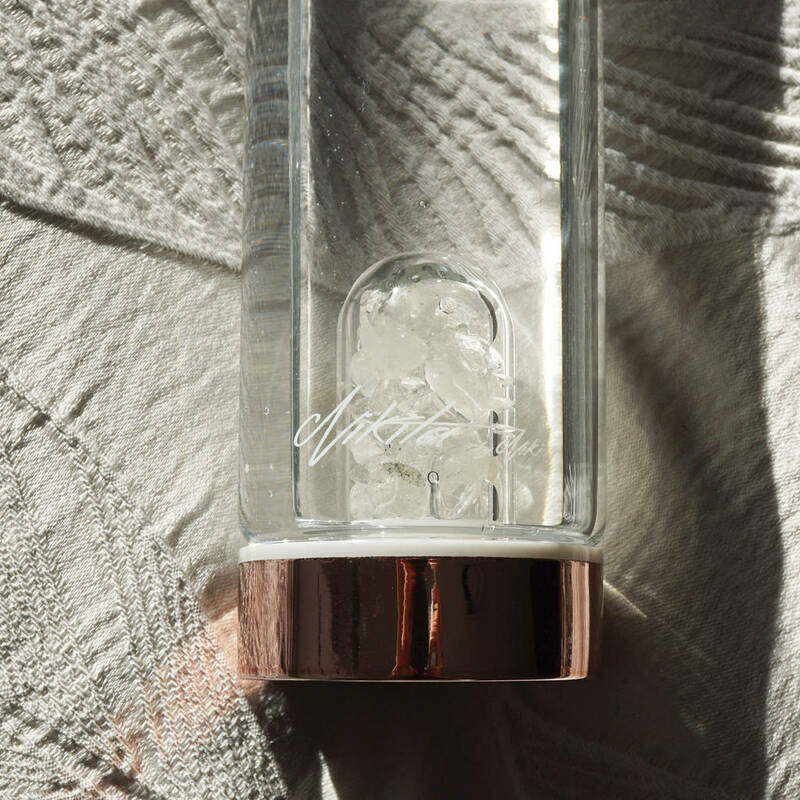 Beautifully packaged in our white gloss cylinder box. 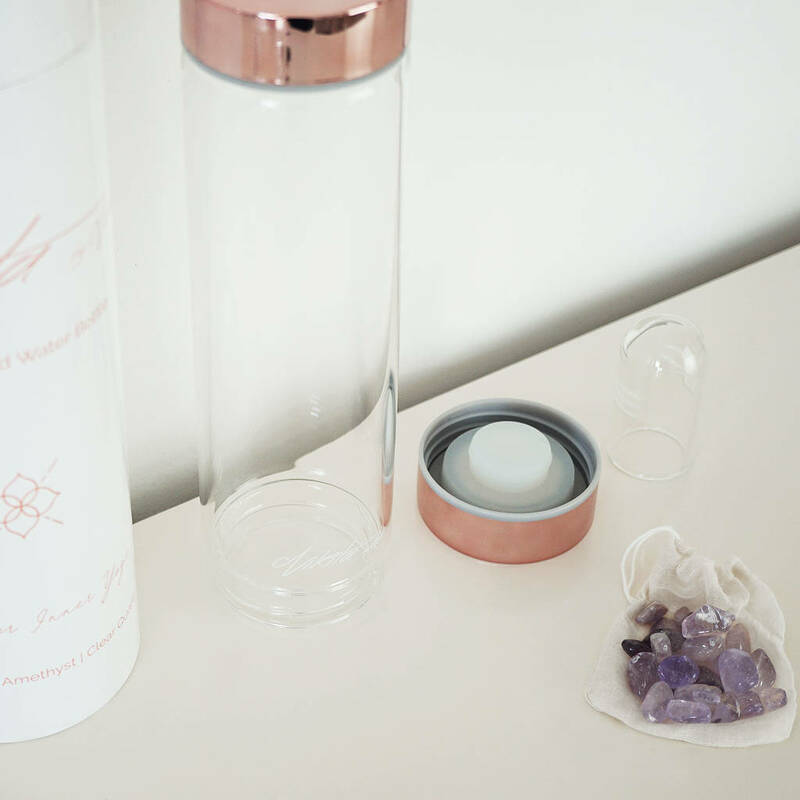 Perfect to present as a gift to a loved one or treat to yourself! 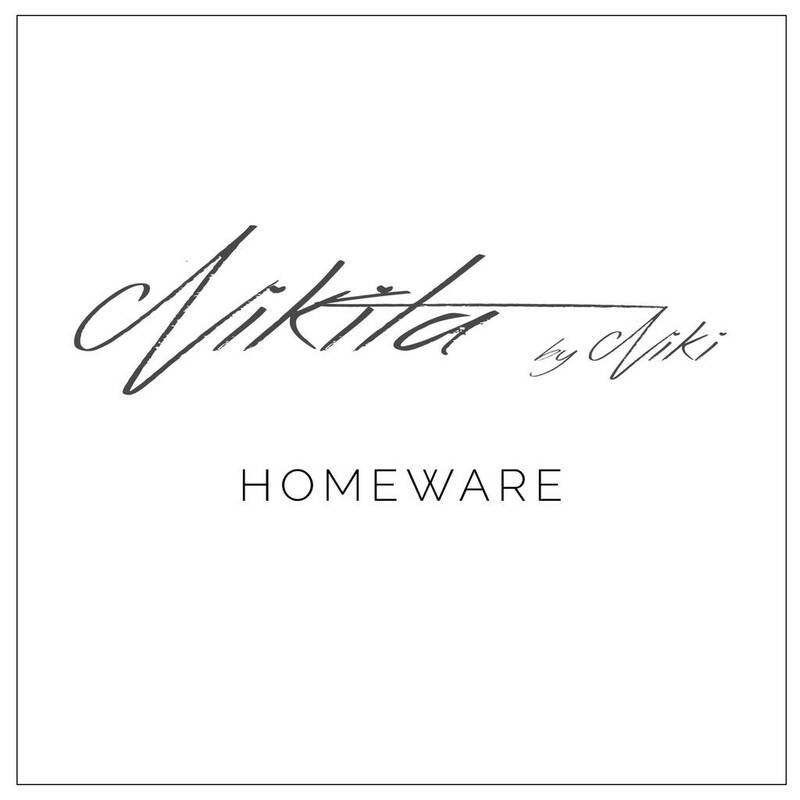 This product is dispatched to you by Nikita By Niki ®.